How To Setup GUI Like Gnome, KDE, Xfce, Unity For Ubuntu Server and Desktop? Ubuntu provides server edition for enterprise environments. Ubuntu server is provided without a GUI by default. In some cases we may need to use GUI in order to manage Ubuntu server. 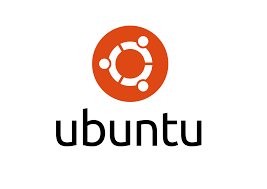 In this tutorial we will look how to install different GUI or Desktop Environments for Ubuntu Server and Desktop edition. Before start installation be sure that we have root privileges. We can add sudo command before apt command like below or change to root user like below. Unity is a desktop environment created by Canonical which is also creator of the Ubuntu. Unity has its own specialties and provides modern and dynamic desktop environment. Unity can be installed on Ubuntu Server like below. KDE is my favorite GUI in user systems. KDE provides very good user experience but requires more system resources like CPU and RAM in order to work without problem. We can install KDE GUI for Ubuntu Server like below. KDE GUI is provided as kubuntu-desktop in Ubuntu distribution. Mate is new generation desktop environment forked from GNOME. Mate provides less resources hungry interface. Mate is continuation of GNOME 2. and gets less updated than other desktop environments. XFCE provides some performance and some eye candy. XFCE have some packages that are unique to XFCE. We can install XFCE GUI for Ubuntu Server and Desktop like below. LXDE provides ligther desktop environment than XFCE. We can install LXDE GUI for Ubuntu Server and Desktop like below. LXDE has also specific Ubuntu spin named Lubuntu . Openbox is not a whole Desktop environment. Openbox provides some GUI to render windows on the desktop. Openbox is the less resource hungry GUI in previous stated GUI’s. We can install openbox to the Ubuntu Server and Desktop like below. How To Scan All TCP and UDP Ports with Nmap?